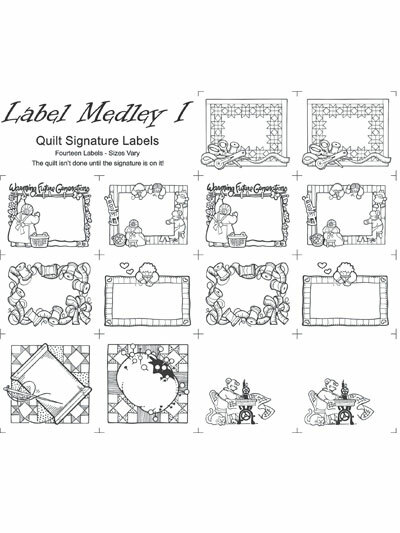 Remember: The quilt isn’t finished until your signature is on it! 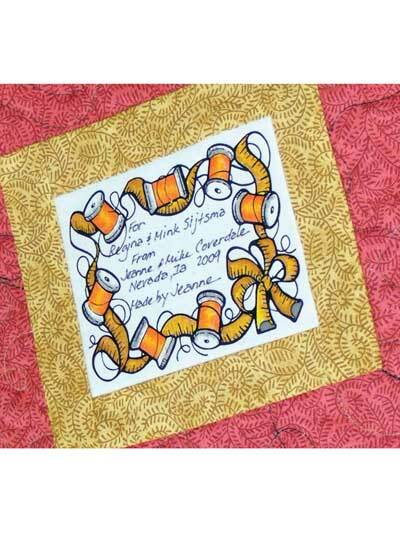 The images on these fabric labels include quilters, thread spools and quilts. Personalize with handwritten sentiments. Includes 14 signature labels in various sizes printed in black on 100% natural Kona cotton from Block Party Studios. Cute design. Can customize easily. Their perfect, love them and I can customize them any way I like.